Wnt agonist 1 is a cell-permeable Wnt signaling activator. It nduces beta-catenin and TCF-dependent transcriptional activity with EC50 value of 0.7 uM. ETC-159 is a potent and specific inhibitor of Wnt secretion. ETC-159 inhibits beta-catenin reporter activity in a dose-dependent manner with an IC50 of 2.9 nM. IQ-1 is a cell-permeable tetrahydroisoquinolinylidene compound that modulates Wnt/beta-catenin signaling. WAY-262611 is a wingless β-Catenin agonist that increases bone formation rate; with EC50 of 0.63 uM in TCF-Luciferase assay. IWP-3 is an inhibitor of Wnt production. Blocks Wnt pathway activity in vitro ( IC₅₀ = 40 nM). IWP-3 inactivates Porcupine (Porcn), a membrane-bound O-acyltransferase responsible for palmitoylating Wnt proteins, which is essential for their signaling ability and secretion. Through blockade of Wnt signaling, IWP-3 has been used to promote cardiomyocyte generation from human embryonic stem cells (EC₅₀ = 1.2 μM). CCT251545 is an orally bioavailable and potent inhibitor of WNT signaling with IC50 value of 5 nM. Hexachlorophene is a potent KCNQ1/KCNE1 potassium channel activator with EC50 of 4.61 ± 1.29 uM; also is an inhibitor of Wnt/beta-catenin signaling. JW74 is an efficient and specific inhibitor of the canonical Wnt signaling. JW74 shows a reduction of canonical Wnt signaling in the ST-Luc assay with IC50 values of 790 nM. Cardiogenol C is a diaminopyrimidine compound that induces the differentiation of MHC- (myosin heavy chain) positive cardiomyocytes from embryonic stem cells with an EC50 value of 0.1 uM. Cardiogenol C upregulates cardiac markers and induces cardiac functional properties in lineage-committed progenitor cells. 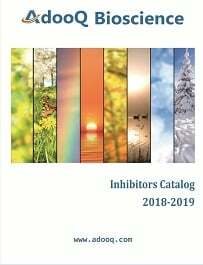 PRI-724, an isomer or enantiomer of ICG-001 (A11039), is a potent, specific inhibitor of the canonical Wnt signaling pathway in cancer stem cells with potential antineoplastic activity. ICG-001 is a specific inhibitor of Wnt/β-catenin signaling pathway that inhibits β-catenin/cyclic AMP response element-binding (CREB) protein transcription (IC50=3 microM) . Salinomycin is an antibacterial and coccidiostat ionophore therapeutic drug. IWP-L6 is a potent inhibitor of Porcupine (Porcn), a membrane-bound O-acyltransferase (MBOAT) (EC50 = 0.5 nM). Wnt-C59 is a very potent and highly selective Wnt signaling antagonist with an IC50 ~ 74 pM in the Wnt signaling reporter assay. IWP-2 is an inactivator of Porcn function and inhibitor of Wnt production, and blocks beta-catenin accumulation. Wnt/b-catenin ('canonical') pathway maintains transcriptional programs that enable stem cells to remain multipotent. IWR-1-endo is a potent inhibitor of the Wnt response, blocking a cell-based Wnt/β-catenin pathway reporter response with an IC50 value of 180 nM. Wnt proteins bind to receptors on the cell surface, initiating a signaling cascade that leads to β-catenin activation of gene transcription. KY02111 is a potent and selective Wnt signaling pathway inhibitor discovered by a cell-based screening, which promotes differentiation of hESCs/iPSCs to cardiomyocytes when used at the second stage of differenitation. XAV 939 is a TNKS inhibitor (IC50 values are 0.011 and 0.004 μM for TNKS1 and TNKS2 respectively). KYA1797K is a highly potent and selective Wnt/beta-catenin inhibitor with IC50 of 0.75 μM (TOPflash assay).